My Office Zolo Realty (BC) Inc.
A professionally trained negotiator, skilled in complex transactions, Michal delivers on his client’s best interests with integrity and professionalism. No transaction is the same, each one demands a unique set of skills to ensure a positive outcome is achieved for each exchange of homes. Michal has the resources and talent to ensure your home sale or purchase is completed with a great experience. Terrific for first time buyers or investors! My partner and I had been searching online for nearly 3 years – for a very specific type of property, in a very specific area. We found the listing for this property online. I reached out to Zolo that same day, and Michal Gook responded promptly. We did not choose Michal specifically, but we have been very happy with Michal and his service. 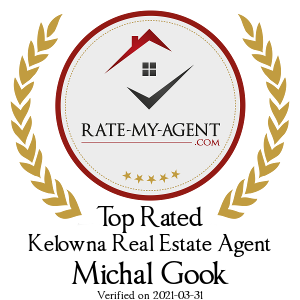 Michal is professional, personable and engaging, hard working, knowledgeable, and a quick learner. He goes above-and-beyond. We highly recommend Michal and have absolutely nothing negative to say about him. Zolo is very fortunate to have Michal as a representative.